Visitors to Terminal B at Newark Liberty International Airport may notice the bright, clean lighting that now blankets the cavernous interior, courtesy of 171 recently installed LED fixtures. But they probably will not realize that the light fixtures are the backbone of a system that is watching them. The project is still in its early stages, but executives with the Port Authority of New York and New Jersey, which operates the airport, are already talking about expanding it to other terminals and buildings. To customers like the Port Authority, the systems hold the promise of better management of security as well as energy, traffic and people. But they also raise the specter of technology racing ahead of the ability to harness it, running risks of invading privacy and mismanaging information, privacy advocates say. His concern derived not from the technology itself but from the process of adopting it, driven by, he said, “that combination of a gee-whiz technology and an event or an opportunity that makes it affordable.” As a result, he said, there was often not enough thought given to what data would actually be useful and how to properly manage it. At Newark Airport, the Port Authority will own and maintain the data it collects. For now, it says, no other agencies have access to it, and a law enforcement agency can obtain it only through a subpoena or written request. What began as a way to help governments and businesses save energy by automatically turning lights on and off has become an expanding market for lights, sensors and software capable of capturing and analyzing vast amounts of data about the habits of ordinary citizens. The light fixtures are outfitted with special chips and connect to sensors, cameras and one another over a wireless network. Data that is collected — say, a particular car pulling up to the terminal — can then be mined and analyzed for a broad range of applications. Systems like the Port Authority’s, developed by a company called Sensity Systems, could soon be more widely available. 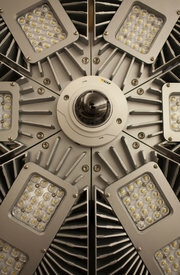 Under a recent agreement, Amerlux, a leading lighting manufacturer, will start using the technology in its LED fixtures. Other companies, including giants like Cisco Systems and Philips, are racing to grab a share of that market. Las Vegas is testing a street lighting system that can broadcast sound, and plans to use it mainly to control lighting and play music or to issue security alerts at a pedestrian mall. Copenhagen is installing 20,000 streetlamps as part of a system that could eventually control traffic, monitor carbon dioxide levels and detect when garbage cans are full. 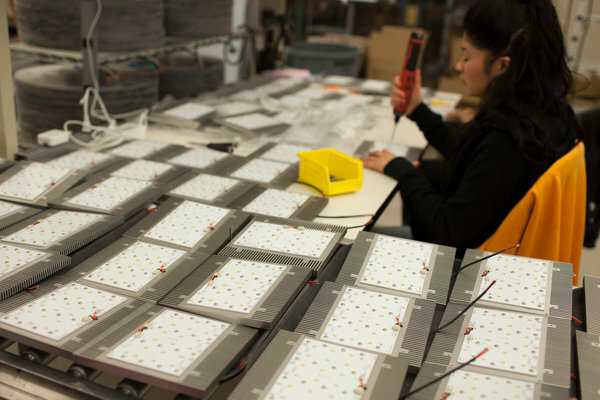 Other government agencies and businesses have begun replacing thousands of lighting fixtures with LEDs, mainly to cut costs. The trend is expected to accelerate as the fixtures become cheaper and more sophisticated. Navigant Consulting, a firm based in Chicago, has estimated that cities’ interest will prompt more than $100 billion in spending on the technology over the next 10 years. “More and more what we’re seeing is decision-makers choosing networked lighting controls not just for the energy benefits but for a whole host of nonenergy benefits,” said Jesse Foote, a lighting industry analyst at Navigant. Sensity’s technology, for example, would allow light fixtures and sensors to pinpoint a gunshot, sense an earthquake or dangerous gas, or spot a person stopping at various cars in a parking lot. Some cities already have more targeted sensors, like the ShotSpotter gunshot location system in use by more than 70 American cities, including Boston, Milwaukee and San Francisco. But the Sensity network can bring them together through existing light fixtures. The system could, once software is developed, also make shopping more convenient — a potential boon for malls losing business to the Internet. Sensing a shopper pulling into a parking lot, the system could send an alert to a smartphone, showing empty spaces, or a coupon. But that is precisely what worries privacy advocates. “I’m not saying that I know the exact balance point, but there is a lot of value, I think, if we do it right, to this information,” Mr. Martin said, whether that value is heightening security or helping stores compete with Amazon. His company has a board that includes Heather Zichal, President Obama’s former energy and climate change adviser, and former Representative Richard A. Gephardt to help figure out the implications of the technology. In Las Vegas, officials say they are not interested in using the video and audio surveillance capabilities of the system they are testing, called Intellistreets, and are instead looking at the use of audio broadcasting to enhance ambience and safety in public areas. In Copenhagen, the emphasis is on efficiency, said Eric Dresselhuys, an executive vice president of Silver Spring Networks, which designed the network to connect that system. 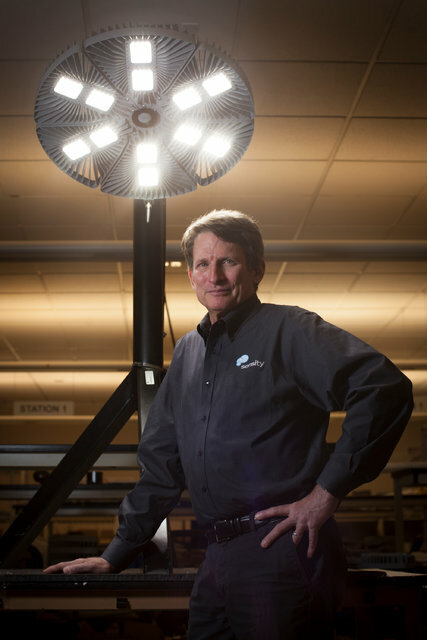 Executives say the potential for the advanced lighting is nearly boundless.